Elegant looking smart PRE stallion, ridden in the basics and very very good in traffic, hacking and along the roads. 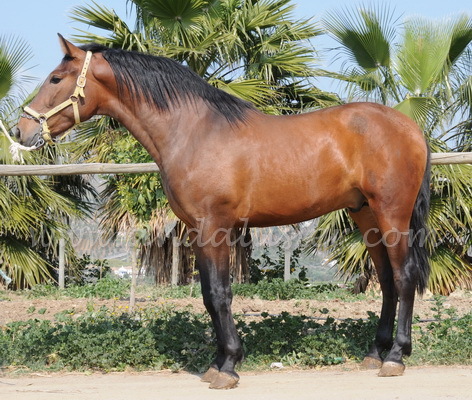 Quamargo *10/09/2012 has been bred by a small private breeder who has only best quality stock mares and stallions at stud. Quamargo lived together in the group of colts until he was taken in the box, so he could develop naturally and healthy. This way he has been handled since birth and built up a trusting relationship to his humans and the surroundings, no fear of cars, tractors or anything. He is very sweet and loves to be cuddled, brushed and gives hoof without problems. Quamargo is an excellent horse for leisure and enjoying long hacks. He is tall and suitable for tall riders as well.